Andrew Chow is a social media and public relations strategist, certified life coach, entrepreneur, speaker, and author in Singapore. Andrew has spoken in many conferences to business leaders and civil servants in different parts of the world. Andrewâs insights on social media strategy, media management, and personal branding have made him a choice selection for many workshop organisers. With his dynamic presentation style and thought leadership, he is also a frequently sought-after keynote speaker. Since setting up Ideamart(S) Pte Ltd in 1994, Andrew has won the Spirit of Enterprise Award in 2008 and the Successful Entrepreneur Award in 2010. He was also the finalist for Most Innovative Marketing Initiative organised by the Singapore Tourism Board and given the Spirit of Service Award in 2012 to recognise his outstanding contribution to the Asia Professional Speakers â Singapore (APSS). To date, he was interviewed and featured more than 250 times, and quoted in more than 40 local and regional media. 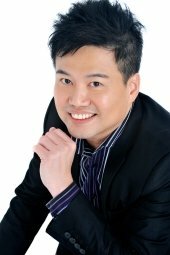 Andrew was also the business coach on Effective Media Management for Singaporeâs leading radio station, 938LIVEâs âPositive Business Minuteâ programme and held the record for the longest talk show series of nine weeks for âA Slice of Lifeâ where he shared about the Enneagram Personality Profiling System. Graduated from Thames Valley University, Andrew is fondly called âideasandrewâ in all his social media connections. He has also founded several social networking portals with over 10,000 profiles. Andrew is also a contributing author to the bestseller, 88 Essential Secrets to Achieving Greater Success at Work.